Secondly, despite appearances, these muffins aren’t burnt. Their chocolatey color comes from the incorporation of dark molasses as a sweetener. 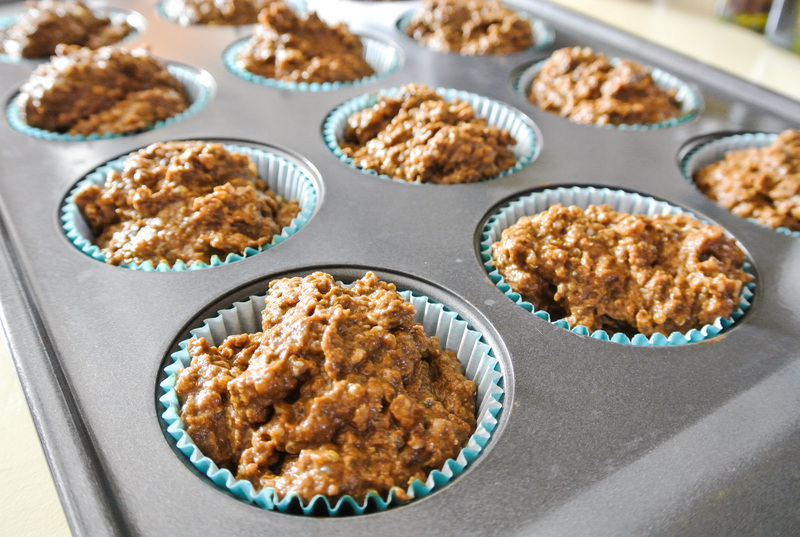 After recently making a pumpkin spice cake that included molasses, I decided to try it out with my super food muffins. 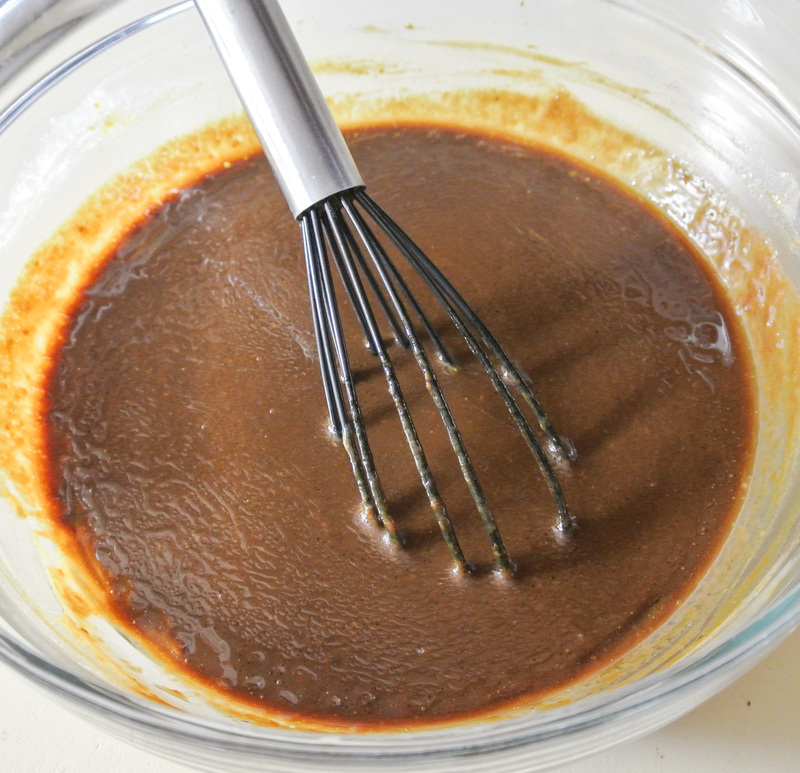 The rich flavor of molasses pairs nicely with pumpkin and its typical spice blend. Since we’re on the subject, molasses is a super food, too. Despite being essentially a “waste” product of producing white granulated sugar, molasses maintains nutrients that the refined stuff does not. In addition to what you see on the product label below, molasses, like agave syrup, has a low glycemic index, which is important in reducing the risk for type 2 diabetes. Molasses is also high in antioxidants and has a subtler sweet flavor than other sweeteners. 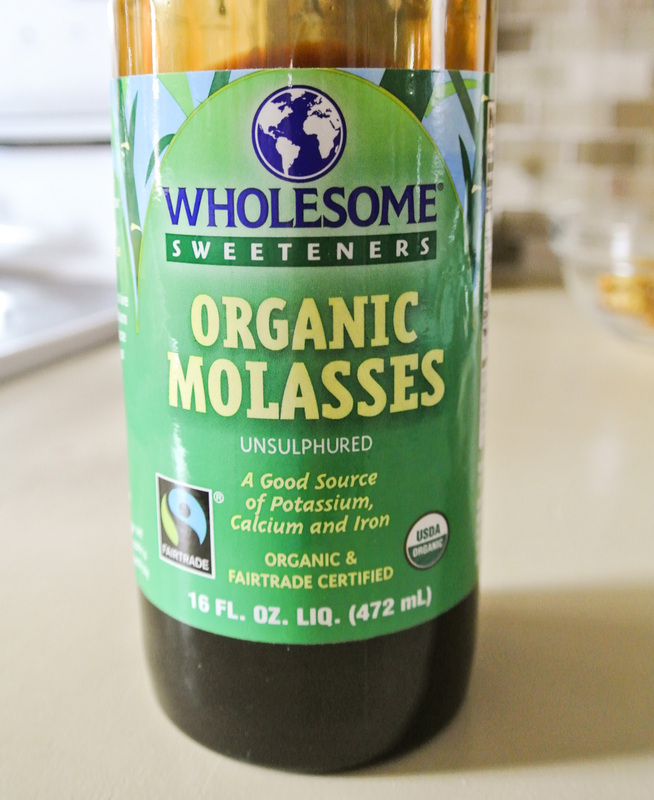 Personally, having followed a plant-based lifestyle for going on four years, I find super sweet food products too rich, so molasses is the perfect sweetener for me. So, again, I chose molasses because I am pairing it with pumpkin. Pumpkin puree—not pumpkin pie filling, ya’ll—is a powerhouse of vitamin A and also contains high levels of fiber and iron. ‘Tis the season to find these gourds everywhere, so if you’re up for the challenge, you can butcher and puree your own. Travis and I have done it and even made pumpkin milk from the seeds! Otherwise, you’re looking for canned pumpkin that contains nothing else (particularly sugar, fat, and salt). Anywho, just in time for Halloween, you can devour these pumpkin muffins for breakfast or bring them to Thanksgiving dinner if you’re in charge of dinner rolls. 🙂 Enjoy! ¼ cup sweetener –> I’m using molasses. 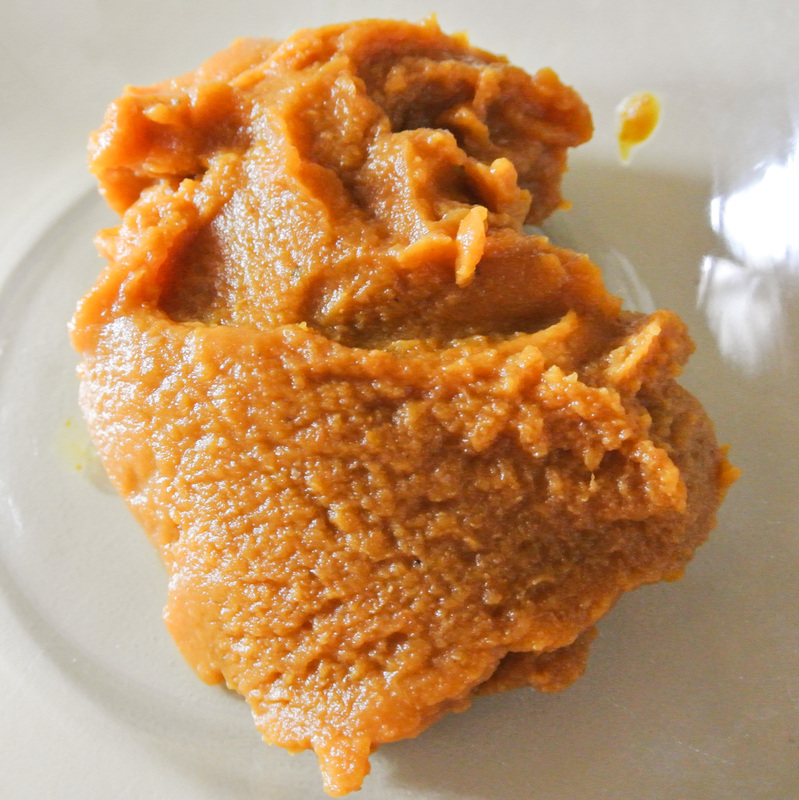 1 cup raw (fresh or frozen) fruit or veggie –> I’m using ¾ cup pumpkin puree + ¼ cup chopped, raw pecans. 1-1 ¼ cups unsweetened plant milk –> I’m using ¾ almond, which is less than usual since the puree adds a bit of water to the batter. ½ tsp pink Himalayan sea salt (optional) –> I’m not using it. Preheat your oven to 350 degrees. Separately combine all of the dry ingredients and all of the wet ingredients. In this case, the wet ingredients include the pumpkin puree, too. Pour the wet into the dry and mix with a wooden spoon. The batter will be thick and lumpy, but you can always add more plant milk if it seems too dry or dough-like. Spoon the batter into a lined cupcake pan and bake for 25 minutes. The muffins look really delicious!